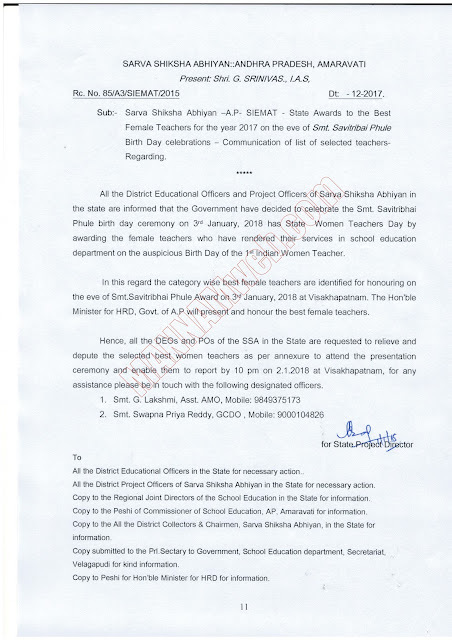 Sub:- Sarva Shiksha Abhiyan -A.P- SIEMAT - State Awards to the Best Female Teachers for the year 2017 on the eve of Smt. 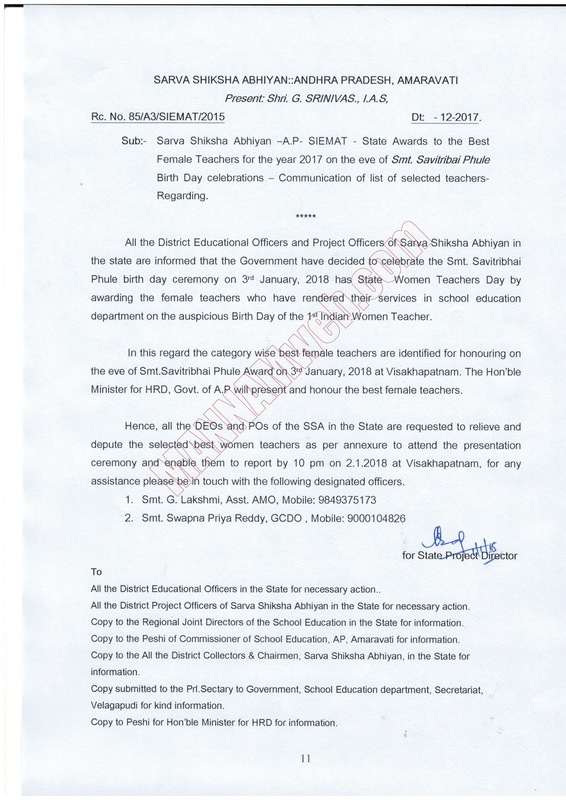 Savitnbai Phule Birth Day celebrations - Communication of list of selected teachers-Regarding. for any assistance ple touch with the following designated officers. 1. Smt. G. Lakshmi, Asst. AMO, Mobile: 9849375173 2.